Why pay full price for a brand-new yacht when you can offset your purchase by up to 75% over 7 years? It gets even better with potential tax benefits, as US taxpayers can save an additional 35% in taxes*. Join over 250 investors just like you, who enjoy sailing in warm waters while getting the best return on their investment in our industry. Choosing Navigare Yachting means you value your investment and strive to enjoy the best experience with your family and friends. We are the premiere luxury yacht charter operator in the world thanks to our advanced know-how, cutting-edge technology, and highest standards of customer care. Through our Holiday Program, our investors have access to 53 sailing destinations throughout the world as well as exclusive access to land holidays. Sail up to 8 weeks pre-booked and 4 weeks with short notice. Receive a return on investment up to 10%. A guaranteed yearly fixed income based on the yacht model and charter destination. Rest assured your yacht and future holidays are in good hands – only Navigare Yachting offers state-of-the art maintenance tracking online and in real-time, providing you with the most transparency with the service and condition of your yacht. This ensures maximal returns through our charter program, as well as optimal resale value upon termination of the charter period. Choose between 3 different ownership/investment programs! Every one of them gives you access to the Navigare Holiday program. 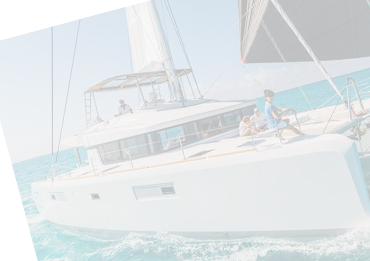 In the first three programs outlined, you choose between private ownership (through charter management) or if Navigare Yachting retains ownership of the yacht. 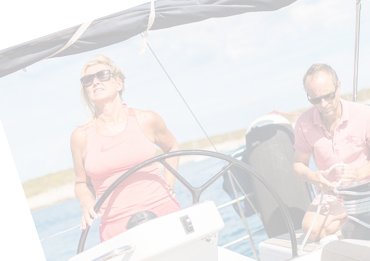 * For US customers and taxpayers looking to maximize the tax benefits of Active Ownership, Section 179 of the IRS code requires ownership by the yacht investor. We have the right CPA who can guide you, not everybody is eligible. View our features for different Investment programs, compare them and find our which financial program is right for you. Enjoy hassle-free boat ownership and take part in Navigare’s exclusive Holiday Program. Choose between spending your holiday sailing at one of our many worldwide destinations, or rent a luxury villa in Italy or Thailand -- unless you'd rather enjoy a skiing resort in the Alps? Through our exclusive concierge service, we take care of customizing not only your future dream holidays. To ensure the quality of your yacht over time, while maximizing its second-hand value, Navigare Yachting created its proprietary online maintenance platform. Through this system, you can follow all planned services on your yacht, track all parts replacements, and everything else required by our stringent maintenance schedule. All in real time. The Navigare online maintenance platform is included in all of our investment programs. Our tailored charter programs allow you, the owner and investor, to buy a luxurious yacht and receive annual returns during the charter period... while avoiding the challenges related to maintenance and service, upkeep and warranty claims, handling berth and logistics, insurance, winterizing, hiring and keeping a crew... We also offer attractive leasing programs that are very popular among our clients. Do you have any questions? Ask away!